We came across a video recently, showing how Emilia Palmer, an eight-year old from Kimbolton, Herefordshire in England's West Midlands, got her wish to get a ride in a pink Lamborghini fulfilled. Emilia suffers from a rare lung illness, requiring her to constantly be on oxygen. She made a request through Rays of Sunshine, which is like the Make-A-Wish Foundation, and within days of receiving Emilia's wish, they found someone willing to donate a Lamborghini Aventador Roadster. 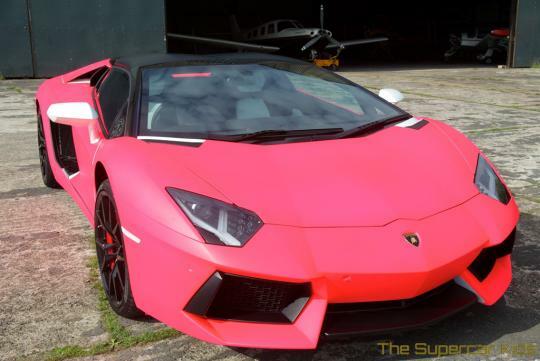 The owner also allowed the charity to get super car resprayed in an eye-searing, matte pink. The hot pink bull was piloted none other than Top Gear's very own Richard Hammond, who dropped by at Emilia's home for a surprise. Now, if you'll excuse us, we need to get all this 'dust' out of our eyes. Watch the video below.